Hospital doctors are appealing to people in Hull and their NHS colleagues to support their attempts to help people in India rebuild their lives after the worst floods in a century. 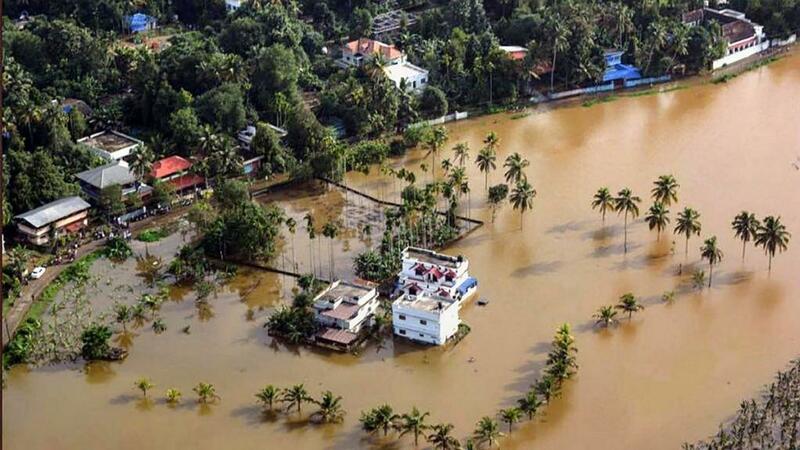 Devastating floods caused by unusually high rainfall during Monsoon season swept through the southern Indian state of Kerala during the summer, claiming around 500 lives and displacing millions. The Indian Government declared a “Level 3 Calamity”, reserved for severe disasters and estimate around one-sixth of the population were directly affected by the floods. Hospital staff are helping rebuild lives and communities affected by the floods, asking their colleagues at Hull Royal Infirmary and Castle Hill Hospital and the public to help those in desperate need. 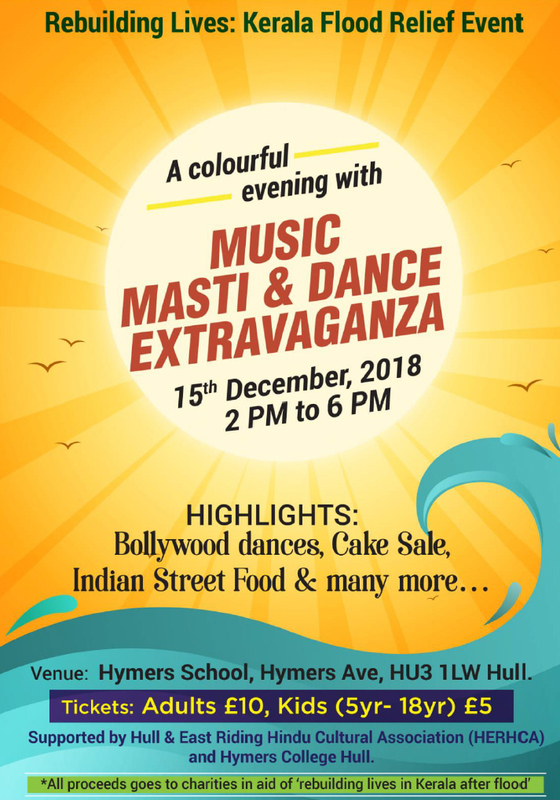 The fundraising afternoon, supported by Hull and East Riding Hindu Cultural Association, Dharma Charity Foundation and Hymers College, will be held at Hymers College main hall on Saturday, December 15. Starting at 2pm, the multi-cultural event will feature traditional Indian dancing, ‘Bollywood’ displays, live music, stalls offering arts and crafts and henna hand painting. Pupils from Hymers School will join to perform Christmas carols throughout the afternoon. With tickets costing £10 for adults and £5 for children aged 5 to 18, with under 5s admitted free, people will also get the chance to sample Indian street food and cakes and sweet treats. Slideshows of Kerala, popular with tourists because of its natural beauty, will also be shown and contrasted with videos highlighting the widespread devastation caused by the floods when some of the 44 rivers flowing through the state overtopped. Call Dr Jaiveloo on 07845458792 to obtain tickets for the event.